September was a month packed full of measurement activity. AMEC’s Measurement Month dominated and so we’ve focused some of the stories and developments that you may have overlooked. These included sentiment analysis releases from Talkwalker and Google, an acquisition for CARMA and the release of our Measurement Guru Report. Over an incredible 60 events, AMEC members and partners spent the month of September talking measurement. If you missed events, and with so much going on there’s a very good chance that you did, there are some summaries of individual events already available. These include: the AMEC Young Leaders event summarised on Experienced Media Analysts, the Institute for PR providing highlights on the AMEC / PRSA North American event, and P+ Measurement’s transcript of the #MeasurePR chat. The month also generated some fantastic reading from the likes of Weber Shandwick’s Allyson Hugley and Eileen Sheil from the Cleveland Clinic, as well as South Africa’s Media Update and the UK’s PR Moment. Not to mention the release of the ebook, Demonstrating the Value of Communication, edited by Jesper Andersen. If you want to see what you missed out on, then can also head to Twitter (#amecmm) or the AMEC website. 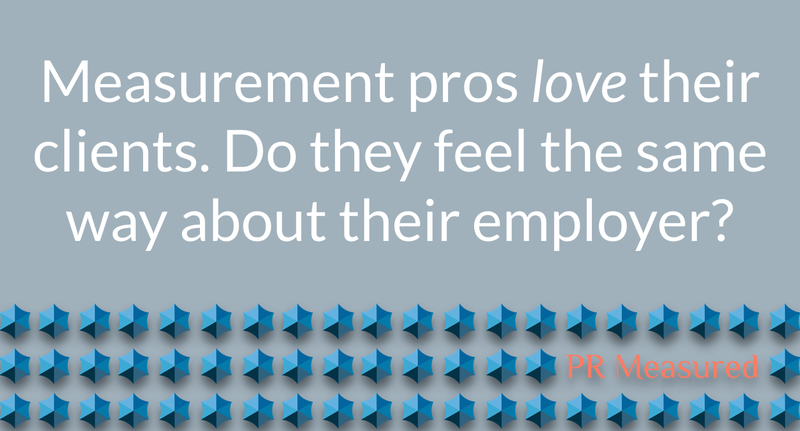 Measurement professionals can be poor at measuring themselves. PR Measured thought we’d address that with the Measurement Guru Report, the first ever global survey of measurement professionals. We asked them how they felt about about their clients, their industry and their organisations. The feelings in the industry are generally upbeat. But, there were some issues that were raised consistently across markets and organisations. The reason why 55% of measurement pros are against consolidation is surprising and speaks volumes about the commitment of the people that work in our industry. Download the report. The accuracy of automated sentiment tools has been an issue since its inception. Talkwalker have announced that its sentiment tool has now reached 90% accuracy for sentences, based on its own testing. Meanwhile, Google has expanded its Cloud Natural Language API, with two new features. The first is the ability to automatically classify content. The second is an entity sentiment analysis tool, meaning it now defines sentiment based on places and things, including brands. It effectively moves the platform beyond sentence sentiment. The release is being targeted at brands and media companies. This being Google, you can test it out for yourself. 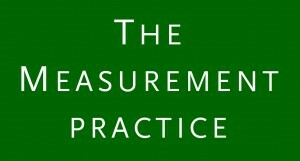 The Measurement Practice chose AMEC’s Measurement Month to launch its first podcast. Mike Daniels led a discussion on what lessons communications measurement could learn from the success of market and advertising research. The panel included David Rockland, Chairman of Ketchum Global Research and Analysis, Angela Jeffrey, of Advertising Benchmark Index (ABX) and Guy Corbet, of Corbet Communications. If you’re compiling your podcast list, then you may also want to take a look at The Small Data Forum. The initiative from LexisNexis BIS has been around for a little over a year, but launched its website this month. The trio, Neville Hobson, Sam Knowles and host Thomas Stoeckle, covered fake news in their latest podcast. Last month we covered recent changes to the Irish market, which is continuing to evolve. September saw the launch of Truehawk Media. The Irish Competition and Consumer Protection Commission (CCPC) required Kantar Media to sell the fixed assets of Newsaccess to a new supplier in order to complete their acquisition. Truehawk Media is the purchaser of those assets. The group has been founded by Derek Finnegan, formerly of Kantar Media, and Peter McFadden, who also owns Nimms, a media monitoring company in Northern Ireland. 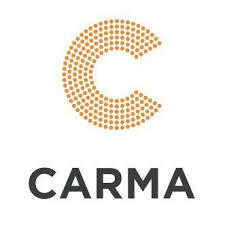 CARMA has acquired RMP Media Analysis, a US-based media intelligence company. RMP’s founder Roxane Papagiannopoulos joins CARMA North America as the Managing Director of Media Analysis. CARMA, the Dubai-based media intelligence group, most recently acquired CustomScoop in 2016 in order to expand its holding in the US market. After AMEC’s Measurement Month, the meetings continue in October. The FIBEP World Congress is about to get underway in Berlin. The conference will kick off on 4 October. For those on the other side of the Atlantic, the 2017 Summit on the Future of Communications Measurement will be held 11 to 13 October in New Hampshire. For those needing some reading material on your travels to either event, Professor Jim Macnamara has just released his new book, Evaluating Public Communication.